London’s ethereal alt-rock artist Evi Vine presents their new album ‘Black Light White Dark’, a stunning collection of six tracks produced by Dave Izumi (Nordic Giants, Ed Harcourt, Magic Numbers) and mixed by Phill Brown (Talk Talk, Jimmy Hendrix, Led Zeppelin, John Martyn, Robert Palmer). This album also features contributions from The Cure’s Simon Gallup and Peter Yates of Fields of the Nephili, as well as Martyn Barker (Shriekback, Billy Bragg, Marianne Faithfull, Goldfrapp) and Geraldine Swayne (Faust). Evi Vine first performed this material live at Petit Bain in Paris in support of Brendan Perry of Dead Can Dance. Earlier, she released two singles off this album: ‘Sabbath’ with a thriller video by Craig Murray, long-term videographer for Mogwai, and ‘My Only Son’, a touching track inspired by a close friend’s suicide. Writing this song helped her work through her pain. The accompanying video was directed by Phillip Clemo and shot byp Clemo, Colin Gary and Tim Shepherd. “The new album is intense – dark, layered, wonderfully atmospheric, fragile, and at times stripped bare – an album to get lost in….and then surface with Evi’s haunting and delicate vocals and the endless space. An intriguing band. I’m always amazed that 4 musicians can deliver such a large, dense and involved audio landscape while making it feel effortless…the musicians disappear and you are left in another world,” says engineer Phill Brown. As a group, Evi Vine is joined by Steven Hill, Matt Tye and David ‘GB’ Smith. Their music explores the dark elemental nature of the human heart, as well as environmental and post-apocalyptic themes. Sublime and haunting, they create a unique and uncompromising atmosphere with gossamer vocals and precise orchestration. Reverential, physical music, it evokes a rare experience that is beautiful, sparse and deeply intimate. Evi Vine’s debut self-released debut album ‘..And So The Morning Comes’ was heralded as “the underground gem of 2011” by Drowned in Sound, and championed by Simon Raymonde (Bella Union, Cocteau Twins) as his album of the year. Directed by Oscar winning Nick Brooks (Fight Club, The Matrix, The Girl with the Dragon Tattoo), Evi joined with internationally acclaimed photographer Patrick Fraser to make the stunning video ‘For the Dreamers’. Their second LP ‘Give Your Heart to The Hawks’ (2015) was co-produced by Richard Formby (Mogwai, Spacemen 3, Wild Beasts) and mixed by Phill Brown. It featured Martyn Barker, Peter Yates, Tatia Starkey (My Vitriol/Lola Colt) and Billy Cote (Madder Rose). “Behind the anger and frustrations of political agendas in the world, the destruction of the earth, the pain we cause each other and of the lifeforms that all the earth. We’re into our journey with music with a new band and we’ve become a tight knit family, band of brothers, sharing music and tales of childhood we have a different but collective story,” says Evi Vine. Evi formed this band while living in LA, initially opening for Slash at the Whiskey-agogo. She has collaborated with Graham Revell (SPK, The Crow Soundtrack), The Eden House, Tony Pettit (Fields of the Nephilim), and Peter Yates (Fields of the Nephilim). In 2016, Evi sang on Phillip Clemo’s ‘DreamMaps’ LP, together with Talk Talk’s Simon Edwards and Martin Ditcham, and appeared on BBC6, BBC3 Late Junction and Jazz FM. Evi Vine contributed backing vocals on The Mission’s 2016 album ‘Another Fall From Grace’, which hit the UK top-40 album chart, and collaborated with Michael Ciravolo on the debut album from LA-based Beauty in Chaos, involving members of The Cure, Ministry, The Mission, Cheap Trick, The Offspring, King’s X and Ice T, among others. In recent years, Evi Vine has toured with The Mission, Chameleons Vox, Wayne Hussey, And Also The Trees, Phillip Boa and The Voodoo Club, and Her Name is Calla. After including Evi Vine’s debut LP among his top five albums, Wayne Hussey invited them to tour in 2016 and then with The Mission in 2017. The seed was sown and Evi Vine joined The Mission as featured vocalist for their 30th Anniversary Tour. 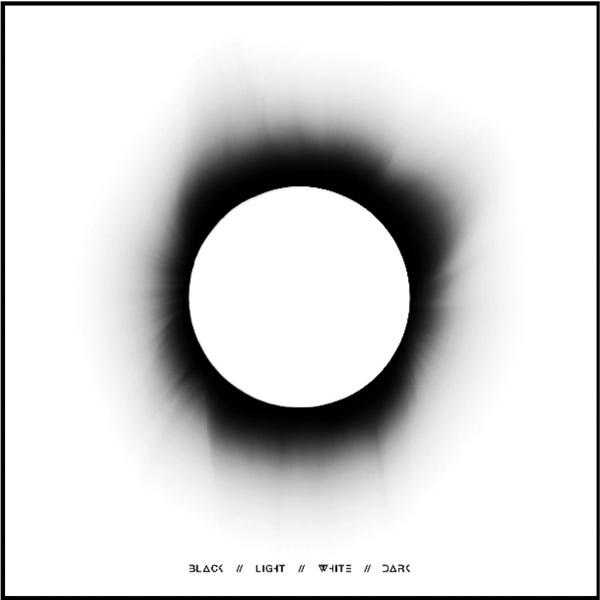 ‘Black Light White Dark’ is available across online stores and streaming platforms, including Spotify, iTunes and Bandcamp. It can also be ordered on vinyl or CD via the band’s website with a full bundle packagealso available. The first pressing is limited to 300 copies worldwide. Evi Vine photos by Paul Harries. Evi with Simon Gallup photos by Steven Hill. 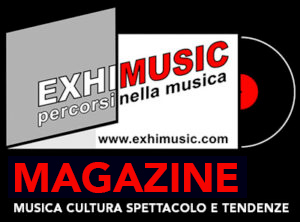 Oggi è Giovedi 18 Aprile 2019 – Sono le ore 14:22.